When should the copyright be filed? 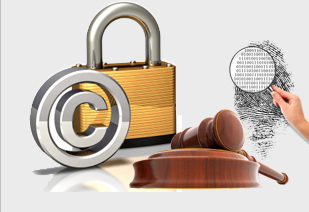 In legal practice, there are two key moments for filing your creations by copyright. b: before release to your public: Web site, exhibit, trade show, shop. Once your product or your creation is known publicly, anyone, without filing and certain proof of copyright, could copy you without you being able to establish the certified anteriority of your copyright. It is recommended that you file and protect your creations as your works and designs come to you, without waiting. A good copyright is a copyright consistent with your creations. Certain protection demands this minor constraint. What legal coverage does a filing on Copyright.co.uk provide? The online Copyright filing gives a date certain to any creation, design, document of legal value, Web site, text, graphic charter or project so as to prove its anteriority and asset your copyright and author’s rights over it. This is proof of intellectual property, provided by the date certain. These author’s rights, proven by Copyright and which exist because of the existence or completion of the creation, is recognised bilaterally in every other country that is a signatory to the Berne Convention, which binds 164 countries, including all of Europe, America, Asia...( complete list here). Your copyright is therefore valid in virtually every country with which you do business. You can therefore easily assert your copyright. What action should be taken if a creation is copied? In all cases, in addition to your copyright, you must first establish and demonstrate the infringement of your copyright, gather the material evidence of the copying and its distribution, and begin to prove the damages (reduced sales, customer complaints, e-nails received by customer service, claims related to the existence of these copies on the market). Recourse to an attorney or consultant specialising in intellectual property is always necessary in order to find the best solutions so that this action against your copyright is a success and dissuades others (through legal decisions, or by the sole fact that your competitors know that you are attacking systematically) from copying you or using your works without your being able to receive the benefits: your author’s rights, your right of creativity, your copyright!